With more and more employees working remotely, video conferencing is an ideal solution for keeping everyone connected. Instead of funneling more revenue to your travel budget, it's an investment your organization can use over and over again. 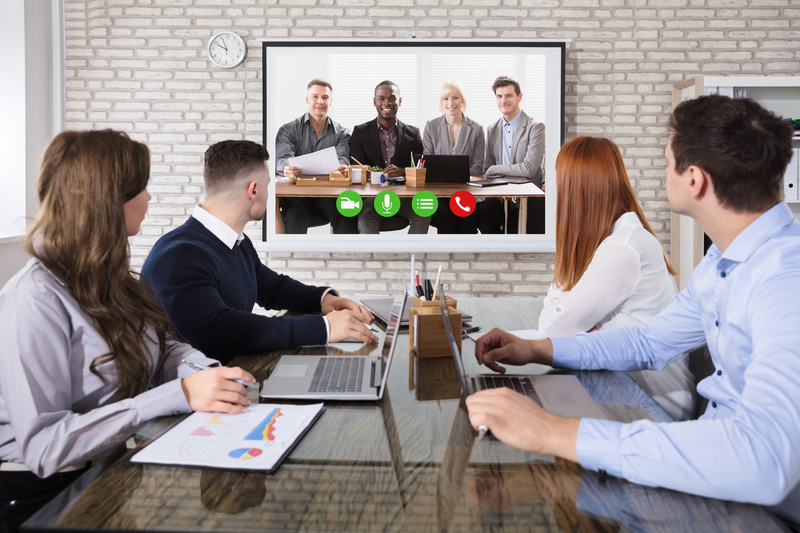 If you've been experiencing a communication and collaboration breakdown, then it's worth taking a look at the advantages of video conferencing. Video conferencing is growing in popularity across a wide variety of industries. New technologies make set-up easy and affordable for organizations of all types and sizes. Here's a look at the benefits your company can expect from video conferencing. Schedule weekly status updates without requiring on-site participation. Kick off new company projects by getting everyone involved on the ground level. Welcome new employees to the company and provide training. Keep projects on schedule by conducting spur-of-the-moment meetings. Brainstorm on new product concepts. Allow managers to communicate with all departments at once. Allow company leadership to make major announcements to employees. Set up remote classrooms for ongoing employee training. Conduct face-to-face virtual meetings with important clients. Remove users or mute conversations with management tools. Send video conferencing invitations using a compatible Microsoft Outlook plugin. Record and save meeting content to review and share later. Use computer screen-sharing capabilities to allow others to view your documents. Today's advanced video conferencing solutions work with a variety of mobile devices and web browsers. You won't need to invest in a long list of peripherals to take advantage of your system; with any time/anywhere capabilities, your video conferencing system works in any location with internet service. A video conferencing system provides your company with new capabilities and lowers the costs incurred by business travel. For a demonstration of the latest solutions, contact us at American Business Equipment today!